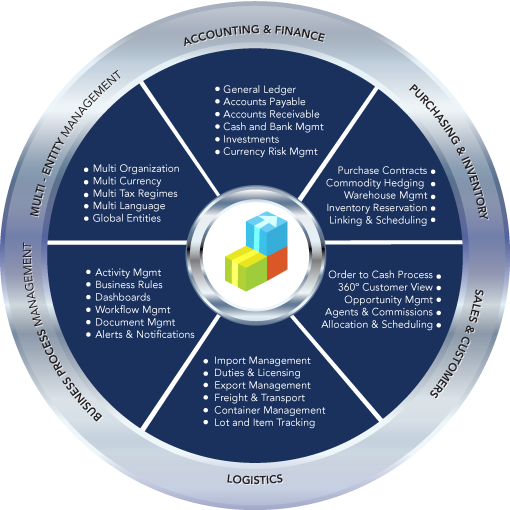 The most integrated, flexible and easy-to-use business software solution for your growing enterprise. Datasoft ERP is an Enterprise Resource Planning (ERP) platform that unifies your entire organization onto one integrated business software suite. The real-time flow of information with customers, suppliers and your employees is made simple and efficient giving you the power to optimize your business performance. While most companies require the same core functionality, each company has unique elements in its operations. Datasoft ERP provides powerful business modeling tools allowing your company to use our proven template models to personalize the ERP to your unique requirements. With no need to change source code, Datasoft ERP is adaptable with natural flexibility and will accommodate the most sophisticated requirements with ease. From small single-site organizations to large multi-company enterprises, Datasoft ERP is highly scalable and will grow with you. Depending on your business requirements, implement only what you need. Datasoft ERP will adapt to your changing business conditions. Copyright © 2014 Datasoft Group of Companies. All rights reserved.